Raise your hand if you’re looking for a new brunch drink that can be made with (and without) alcohol. [Raises hand]. I am right there with you. I live for new drinks to accompany my brunch because brunch is the best meal ever! So as you know, I was recently invited to join the Florida’s Natural Brunch Club. 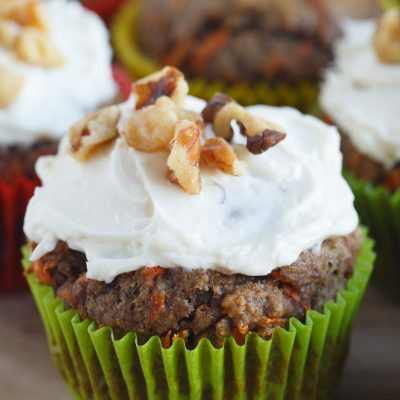 Naturally, being in a brunch club means that you always come prepared with a drink recipe (and muffins) because that is one of the easiest ways to make new friends, obviously! 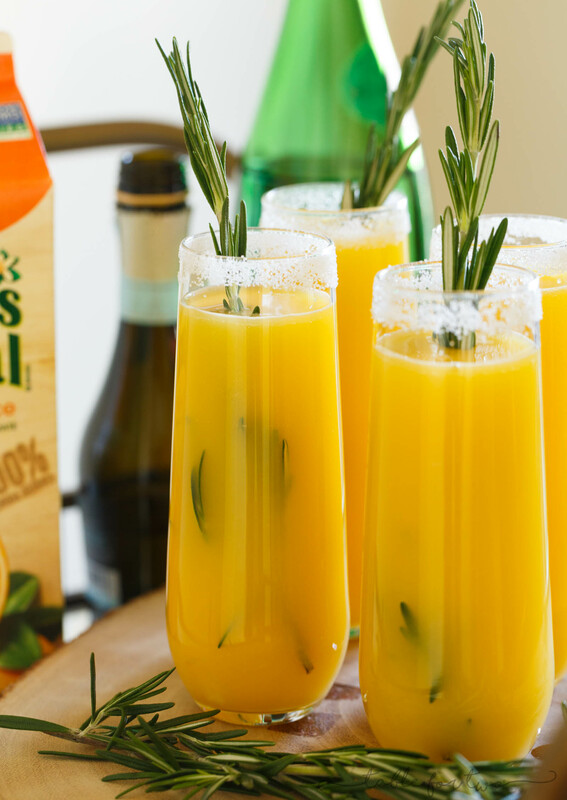 If you’re starting a brunch club of your own (or simply indulging by yourself this weekend), this rosemary orange spritzer is super easy to put together. 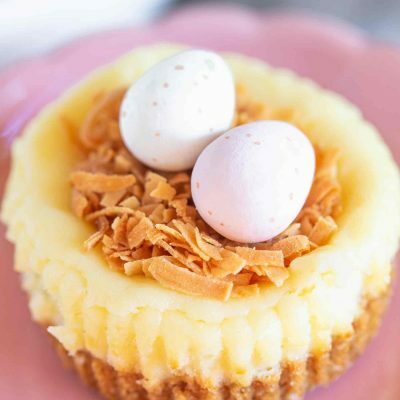 Plus, you and your guests have the option of making it with or without alcohol – best of both worlds! 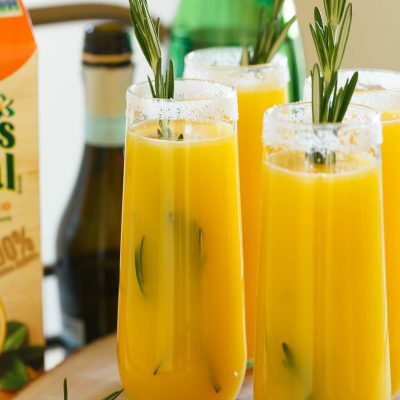 The recipe starts out with making a rosemary simple sugar and then adding your favorite variety of orange juice, prosecco or sparkling water. Personally, I love the Extra Pulp variety, but I know No Pulp fans are out there, too. These pretty glasses rimmed with sugar are hard to resist! They give that little fancy flair to the drinks but obviously they’re as casual as can be. 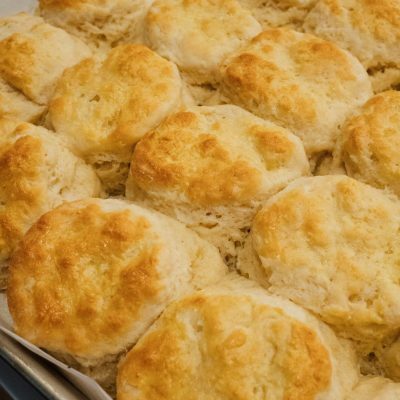 Your brunch game just got kicked up a notch! Cheers to whatever occasion you are celebrating…or just cheers to the weekend! 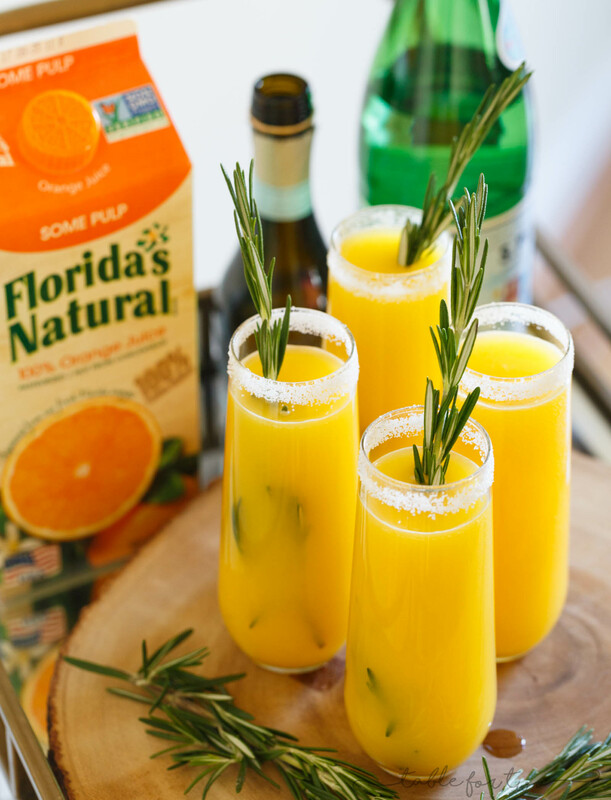 This rosemary orange spritzer is the perfect brunch drink for any occasion! Your choice to make it alcoholic or non-alcoholic. In a small saucepan over medium heat, dissolve sugar and water along with rosemary leaves. Let simmer for 5 minutes, stirring frequently, then remove from heat and let sit for 10 minutes. Using a damp paper towel, wipe around the rim of glasses you will be using. Then dip into a plate of granulated sugar. 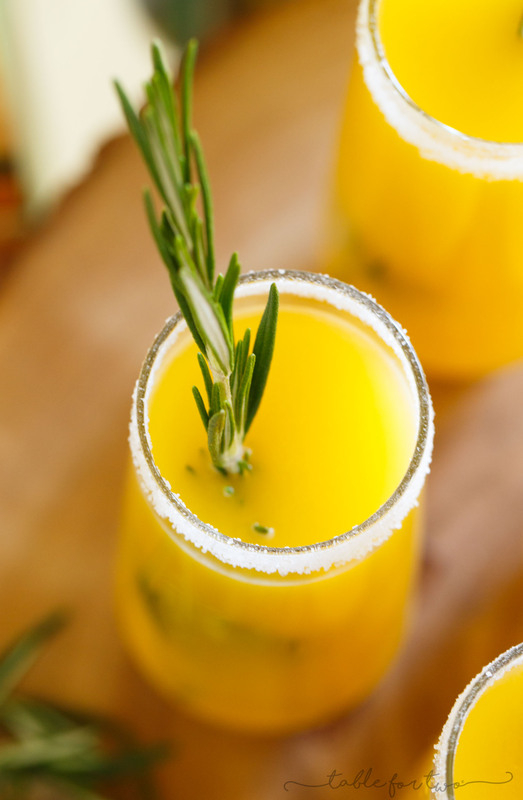 Add 1-2 tablespoons (depending on how strong of a rosemary flavor you like) of rosemary simple syrup into the bottom of a champagne glass or similar. 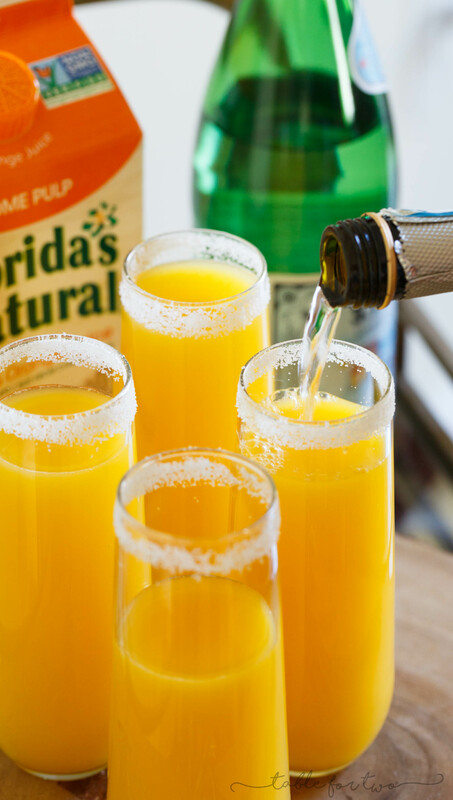 Fill halfway with orange juice then the add the prosecco or sparkling water. Add a sprig of rosemary for garnish, if desired. I’m always ready for brunch and brunch drinks, especially when the drinks are this easy to pull off! I LOVE the idea of Brunch Club!! That is amazing, and these drinks look great! Need one of these ASAP (or 4)! !